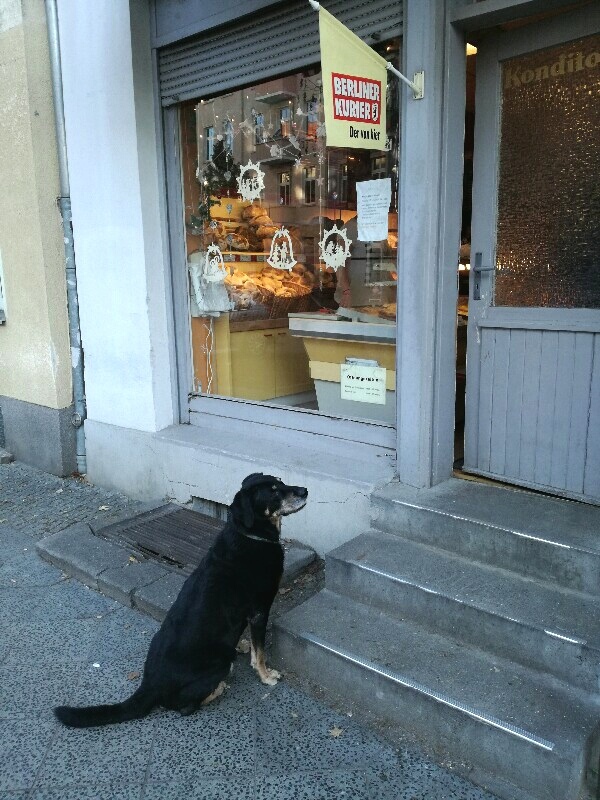 Spot the Fake Waiting Dog! 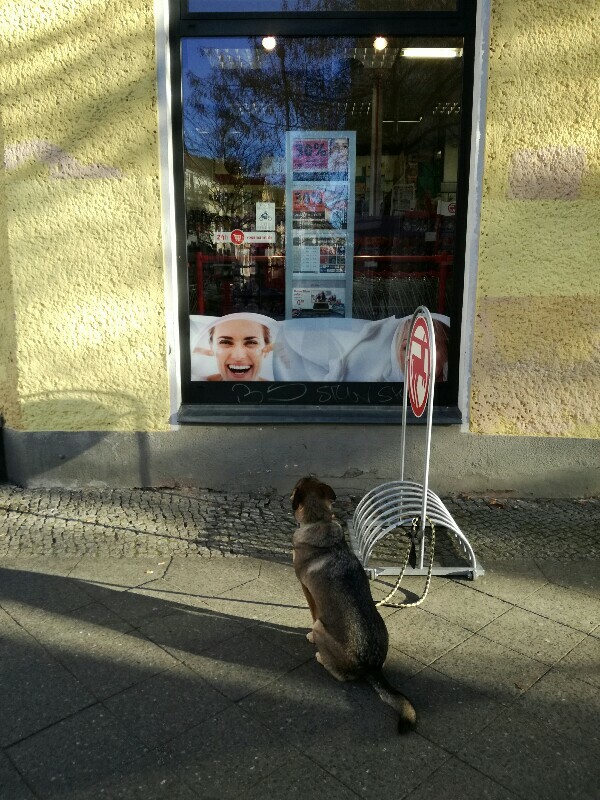 Well, by now you should have spotted the fake waiting dog. 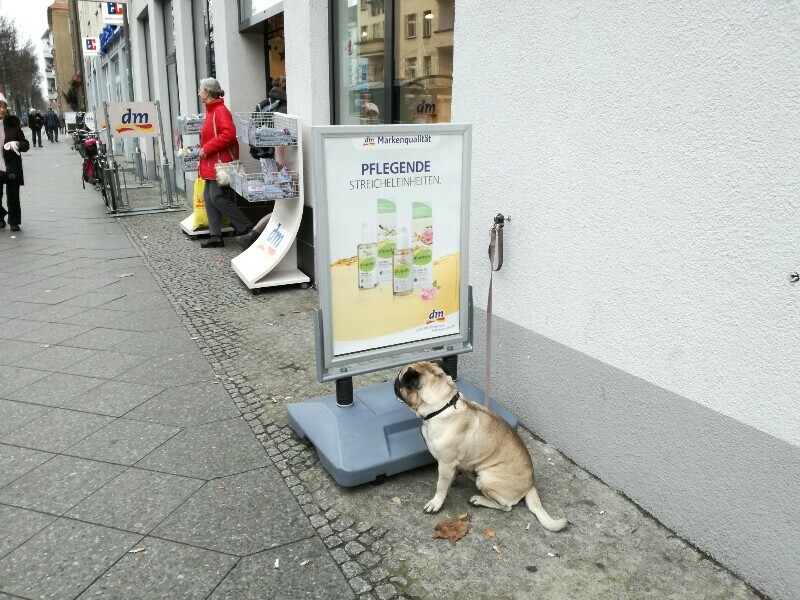 I was laughing when I spotted him sitting outside that soup place in Friedrichshain. 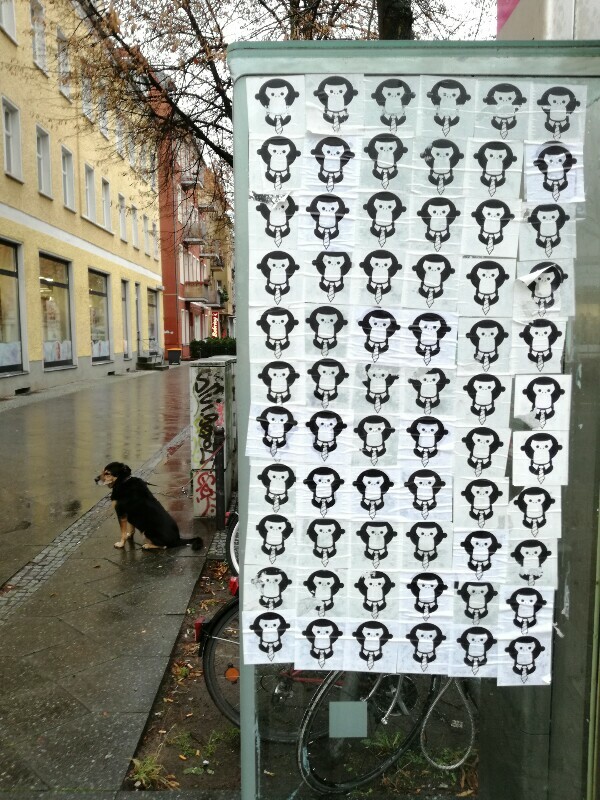 This entry was posted in Berlin, dogs, Friedrichshain, funny, Germany, love, photography, society, street art, street photography, Treptow-Köpenick and tagged animals, Berlin, dog, doggy, dogs, dogs must wait outside, funny, Hund, Hunde die warten, loneliness, street photography, waiting, waiting dogs, wartende Hunde. Bookmark the permalink.